Wash, dry, and cut lettuce. On medium heat, lightly toast walnuts. 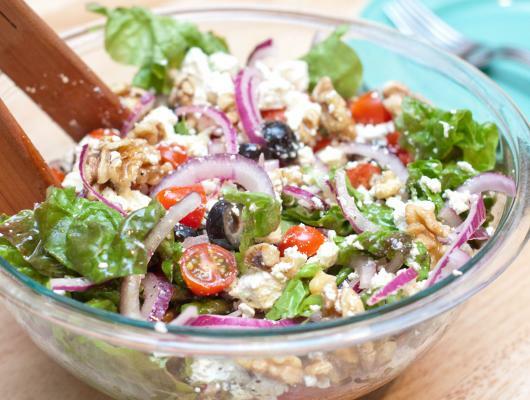 Add lettuce, tomatoes, olives, onion, walnuts to a bowl and mix. Crumble feta cheese on top. Whisk together olive oil, lemon juice, salt, and pepper. Pour half a cup of vinaigrette over salad and mix well. Add more dressing if desired. Hands down the best salad I've ever made. 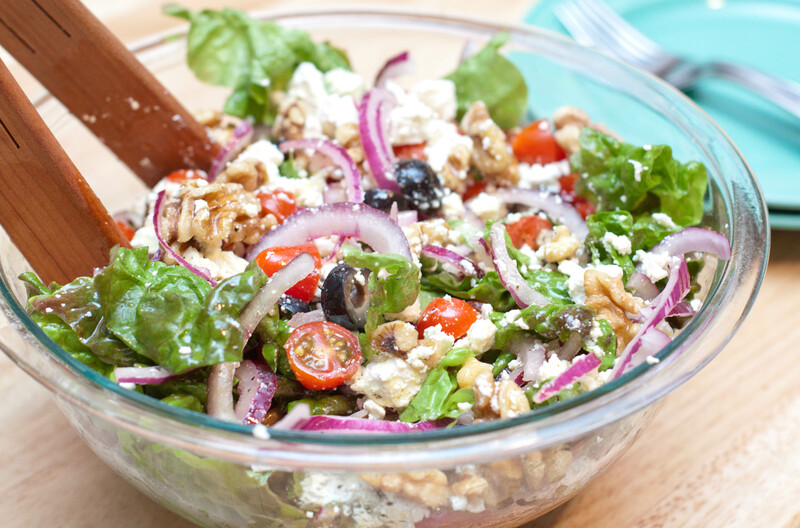 Homemade feta cheese and an easy lemon vinaigrette gives it the perfect level of salt and acidity and the toasted walnuts in place of cucumbers gives it a unique nutty crunch.